During the last quarter of the nineteenth century and the first two decades of the twentieth, explorers from around the world conquered nature's last closely guarded bastions. Between them they navigated the Northwest and Northeast Passages, attained the North and South Poles, crossed the Arctic Basin and first flew airships and airplanes in the Arctic and Antarctic. 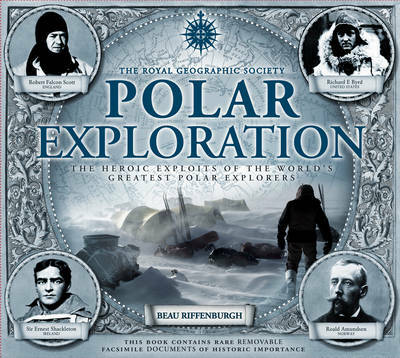 "Polar Exploration" recounts the famous adventures of Ernest Shackleton, Douglas Mawson, Robert Falcon Scott and Roald Amundsen but also narrates stories far less well known to tell of poisonings, cannibalism, false claims, near misses and the feared killer of the polar regions - scurvy. Facsimile memorabilia will include: Scott's final diary entry; pages from Amundsen's 1911 diary describing how he reached the South Pole; and, a letter from Shackleton before he set off on his expedition aboard the Endurance.